Almost two years ago, my friend Hasan from Three Pipe Problem asked me if I could contribute a post to his blog, as part of a series titled “Why Art History?” Hasan was interested in collecting the stories that led people to art and art history, as well as art history blogging. He encouraged contributors to write about their personal experiences with works of art, and how people initially became encouraged to “find out more” about artistic objects through research. I would like to repost below what I originally contributed to Hasan’s site in February 2013. This repost is in honor of Hasan and the enthusiasm he had for art history, since died last year on October 28th. I’ve also included an addendum at the very end of the post, which are some thoughts that have been accumulating in my mind over the past year, since Hasan’s passing. When I first began to study art history as a teenager in high school, I was immediately drawn to the cerebral aspects of art. 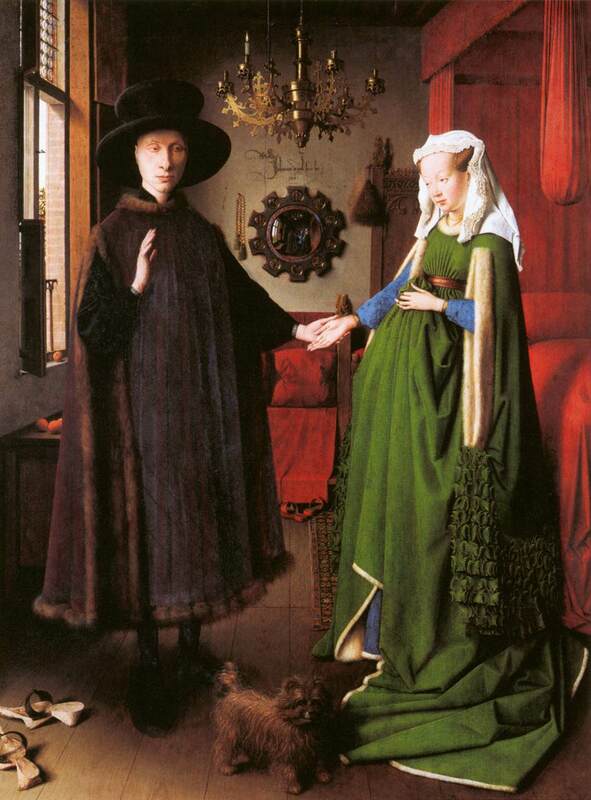 I relished the concept of “disguised symbolism” in Northern Renaissance painting, especially found in Jan van Eyck’s The Arnolfini Portrait (1434, shown above) and the Mérode Altarpiece (c. 1427-32) by the workshop of Robert Campin. With what precision answers could be produced about the symbolism of these everyday objects! Lilies symbolize purity! A dog means fidelity! Pieces of fruit mean fecundity! I devoured the succinct answers that were provided in my heavy survey textbooks. I considered these answers to be universal truths, not realizing at the time that Panofsky was the iconographic chef de partie who systematically shuttled out answers for me to consume. Although I deeply loved Baroque art before this point, I think that this experience in the Borghese Gallery really changed the way that I approached and understood art. I wanted to learn more about Baroque art, but learn more about it from the aspect of the viewer’s experience. How do Baroque works of art interact with their audience? How can three-dimensional sculpture interact with the viewer in ways that aren’t possible for two-dimensional paintings? These questions began to germinate over the next several years; they eventually led me to travel to Brazil in 2007 to analyze the element of viewer participation and experience in Aleijadinho’s sculptural composition of Old Testament prophets (c. 1800-1805, shown below) at the church Bom Jesus dos Matozinhos. 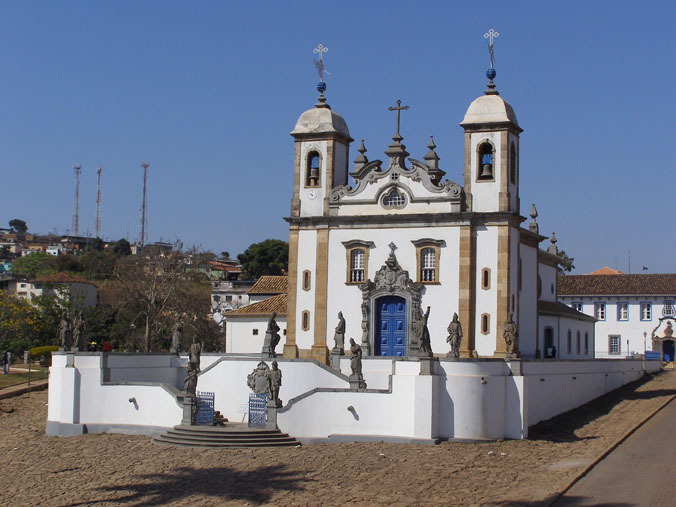 I twisted and turned around the paths and staircase that lead up to this church several times, similar to how I revolved around the twisted body of the David a few years before. Since Hasan’s passing, I have had more opportunities to think about art history and why I am compelled to have an art history blog. I started this blog when I was in graduate school, simply to help keep track of some of the ideas I was learning and exploring at the time. I didn’t tell anyone about my blog for several weeks – perhaps months – back then. I felt like my blog was something personal to share, and I didn’t feel like my ideas were developed enough to show to others. I graduated about the same time that the economy crashed, which left me without a job for over a year. During this time, my art history blog became a way for me to stay connected with art historians and current art historical ideas. I felt like my blog kept my mind sharp. It was during this period that Hasan reached out to me, and we began communicating via email and sharing ideas through our blog posts and comments. Although Hasan and I rarely discussed our personal lives with each other, his friendship meant a lot to me during this dark period of my life which was extremely difficult on many levels. I came to value the friendships associated with blogging as much as the act of blogging itself. Once I found a job and began to teach, I began to use my blog as a way to save and share educational resources that I wanted to implement in my physical and virtual classroom discussions. At present, I think that this is probably the main way that I use blogging now. Although I do like to write posts to share some recent insights or ideas, more often than not I have my current or future students in mind when I write a post. I still value the friendships that I have within the online art history blogging community too, but I have to admit that this aspect of blogging is also hard for me: I still feel a sense of loss since Hasan has passed away. Over this past year, I have written about half the amount of posts that I wrote in the year leading up to Hasan’s sudden death. (Granted, this past year also has been uniquely busy for me, but that’s beside the point.) I think that somehow knowing that Hasan was out there to read and enthusiastically comment on my posts – even if the posts contained things meant for my students – gave me an impetus to write more frequently back then. 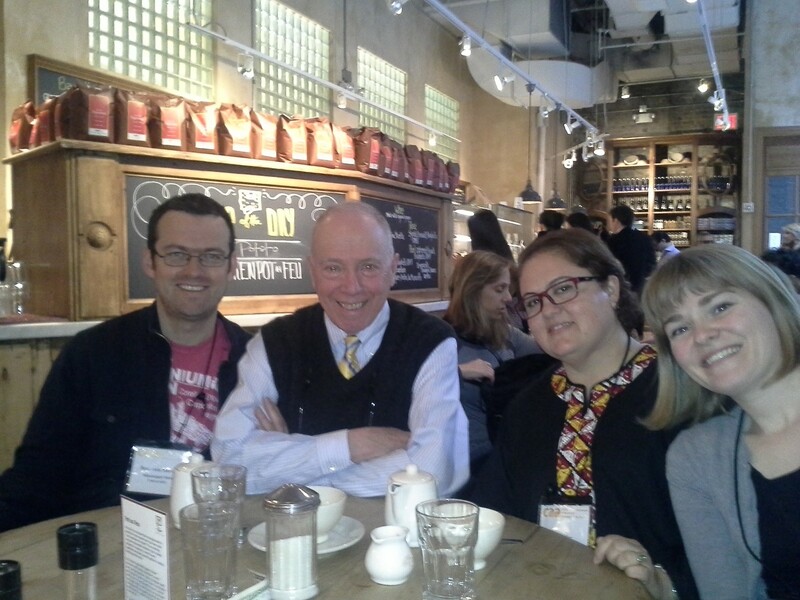 Ben, Frank, Sedef and I met in New York during CAA conference of February 2013. We took this photo for Hasan, since he couldn’t join us. While I’ve always enjoyed blogging about art history, I have come to treasure the personal interactions that I have made with people across the globe. Even since Hasan’s passing, I have been able to connect and re-connect with various art historians and history bloggers. It is partially because of these interactions that my art history blog has assumed an additional function and purpose this past year: this is a virtual space where I can honor my late friend and celebrate the art history community which he helped to foster. 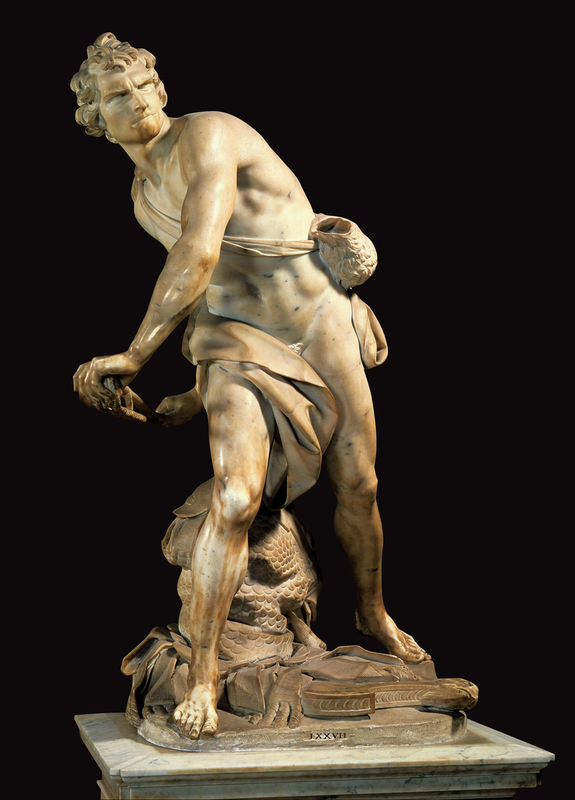 So, similar to how my emotional interaction with Bernini’s David in 2003 helped to inform and influence the way I think about art, I can say that my personal interactions with Hasan and the impact of his death help to inform and influence the way I approach art history blogging today. In some ways, thanks to Hasan, art history blogging has a new emotional weight and purpose for me. Thanks, Monica! I think that we will all have Hasan “looking over shoulders at our computer screens” for the rest of our lives… Ed G.
What a wonderful post, and another lovely tribute to Hasan. I can relate to your feelings about actually standing in front of a piece of art that really moves you – the jaw drops, the goosebumps rise, the eyebrows do whatever they do in that moment of awe. I actually felt a little of that just looking at the picture of David in your blog! I think I got the art history bug when I was seven and my family traveled through Europe. I remember seeing Michelangelo’s David and being stunned. When I (much) later went to study in Rome, I felt like I died and went to heaven! I think for me it is the aesthetics as well as the human emotion that’s conveyed. I guess that’s why I prefer figurative art. Thanks for your comment, Val! I never thought about how the human emotion could translate into a preference for figurative art, but that makes a lot of sense. Perhaps that’s why I’m drawn to figurative art, too!